A spectacular wedding reception in the traditional Palapa at The Beach Tulum hotel near Cancun, Mexico by destination wedding photographers, Embrace Life Photography. 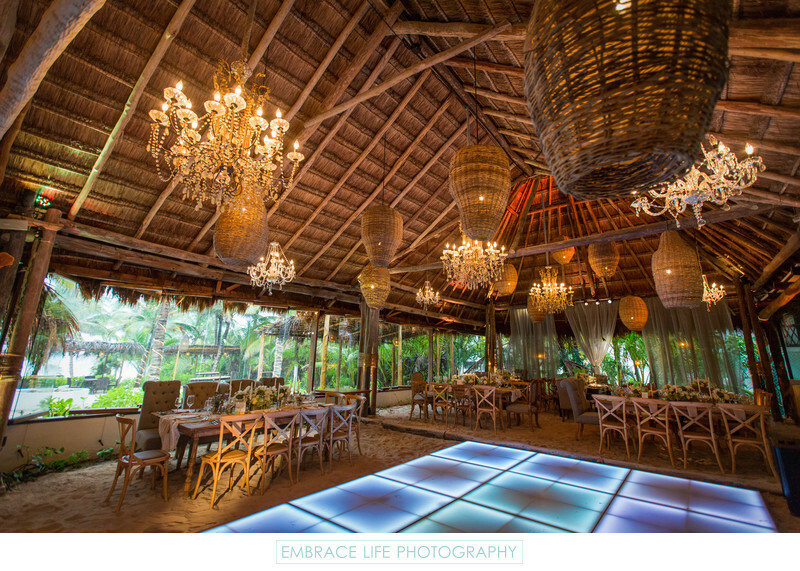 The crystal chandeliers, sheer curtains, and lighted dance floor, design by Sky Event Porduction, are a beautiful contrast to the Tulum wedding venue's wicker chandeliers, natural sand floor, rustic tables, chairs and abundance of wood throughout the open air structure. Location: Carretera Tulum-Boca Paila KM 7, Zona Hotelera, 77780 Cancún, Q.R., Mexico.